Communities of color are underrepresented and often excluded from financial decisions that ultimately impact all of our communities. As the Director of Village Financial Cooperative, Me’Lea Connelly is challenging assumptions surrounding the financial service industry. Connelly is at the forefront of transformative change, creating a more inclusive and equitable financial system for the shared prosperity of all Minnesotans. 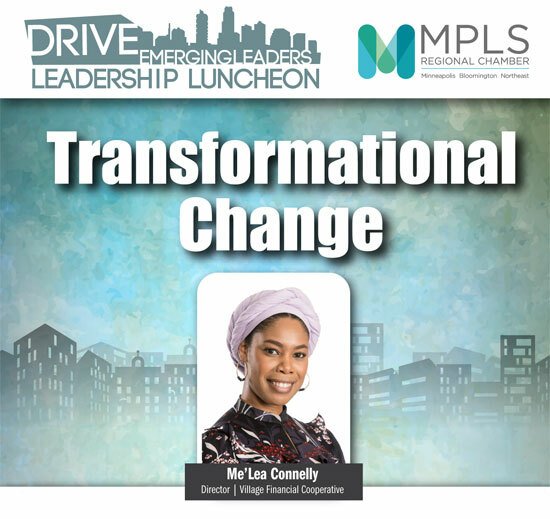 At this DRIVE Leadership Luncheon, hear her story in a candid one-on-one interview. RSVP today.